Two hours rolled by in what felt about 20 minutes. And before we knew it, the countdown was on. As 7 AM on Saturday approached, the adrenaline in the crowd was at its peak. A morning of chanting and interviews and conversations with Alex O’ Laughlin, the crew from Breaking Par, and new friends battling limited sleep was done — it was time to run. They told us it was a short run, maybe half a mile. We were feeling good, ready to roll. When the clock hit 0, it happened in a flash. Jack, in the front of the line, took off like a rocket, screaming and high stepping his way into the grounds first. Mike was second, and he took solid pace and seemed to be taking the longevity route. I was a few people back, along with our buddies Ryan and Anthony. Feeling a bit behind my co-founders and wanting that seat, I was much closer to Jack’s strategy and moved into a semi sprint, hollerin’ with my new people running onto the course. Following the crowd, the first 2 minutes was electric. Then we realized we simply weren’t that close to 16. Slowly but surely, my energy drained. A sprint became a jog, and a jog became an all out grind. Mike was about 10 yards ahead of me, but he must have taken PED’s before hand because he wasn’t slowing at all. I told him “Go, get us some seats,. I’ll be right behind ya.” Assuming Jack was also up there, I figured 3 people would be enough. A couple minutes into my potential death run, passing by plenty of people who had bowed out of the race, I see a person walking in the middle of the path. I hit him with a “Come on brotha we’re almost there!” knowing darn well I was near exhaustion. As I passed by this person, I realized it was Jack. I forgot he had a wig on (lol). He was walking, but he said he was alright, he’d make it. While the initial dart was worth it (check PGA Tour’s Instagram), Jack was another victim of the “half mile run.” As I saw Mike. now about 50 yards ahead of me, 16 was in sight. Ryan and I got there about 20 people behind Mike, and after about 2 minutes of wondering where to sit, we ended up second row behind the right bunker. All is well that ends well. We secured primetime seats and proceeded to lead the crowd in chants, get interviewed by Riggsy, and party with the breakfast club until 9 o’clock when the beer tent began selling. The rest of the day was filled with a lot of boos, cheers, more chants, pulling hard for our Amateur Hour alums, a whole lot of beer, a couple close encounters for our surrounding fans, and an undisclosed amount of money spent. We also managed to sneak a hello to Skov and Sandsy post round, sending good vibes for Sunday. Looking back, every minute was worth it. If you are thinking about going to the WMPO, go. It’s an absolute blast and if you have the muster to get to 16 early, take the risk. Definitely a lifetime memory for us and a hell of a lot of fun! Rickie’s Resolve: If you are a golf fan by now, you know about the penalty on 11. You also know about Rickie’s reputation for falling short of his “expected” win total. With those two things in mind, and the absurd penalty added to his card, Rick and Joe could’ve easily folded. Rickie could’ve slammed clubs, cussed about the ruling, and lost focus. Instead he accepted it, took a deep breath, and re-focused. The putt for triple bogey was absolute stones, and you could see his determination going to get that ball out of the hole. We mentioned to Joe on our show those two seem to be the most poised caddy/player combo in golf, and that definitely paid off on Sunday. While Rickie certainly played poorly up to that point, he showed the mettle to hang in there and make massive birdies on 15 and 17 after losing the lead to capture his title. Congrats fellas! JT close again in the desert: Most will look at JT’s record in Phoenix and see a decent resume. He’s been a lot closer than the results show. A mid-teen finish last year was caused by an uncharacteristic blow up over a few holes after taking the lead on Sunday. While he couldn’t get it going Sunday, his display Thursday-Saturday showed how dangerous he can be. Watching his round on PGA Tour Live Thursday, I don’t remember seeing a guy make a course look that easy in a while. Don’t be surprised if Thomas picks up, at minimum, a few wins at this tournament before his career is all said and done. Phil Flops: In one of the most unexpected stories of the week, Phil simply blew up on Friday. A solid Thursday round turned into a disastrous Friday with 5 bogeys and only a single birdie. Phil obviously has had incredible success at this venue, so it hurt the fans to see him exit early — and of course we missed him on 16 Saturday. Never the less, a bounce back week for Phil is most likely in the cards, as he makes his way to Pebble this week. Head up Philly! Are We Psychic? : Of course this headline is a joke (knock on wood), as I would never want to jinx our efforts in picking winners. However, we nailed this one. 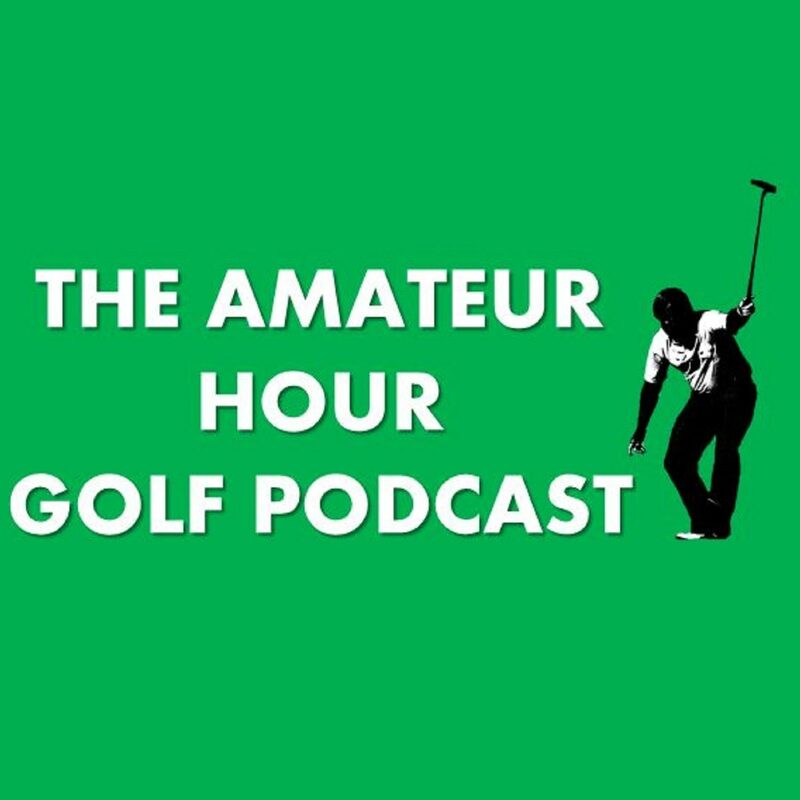 The Amateur Hour boys correctly predicted a Rick and Joe win in the 2019 Phoenix Open, and may as well have mentioned celebrating the W with Joe afterwards. Both of these came to fruition. We will leave it at that! Make sure you tune in to see when our next guest will get their next win! A special shoutout this week must be made to Steve Sands. The recap simply wouldn’t be complete with mentioning him. We were able to say hey to Sandsy on Saturday, and luckily for us, got to continue the conversation during the celebration Sunday. Steve was awesome and handled all of our antics and golf nerd scenario questions with humor and class! Cheers to you Sandsy, an absolute legend. We could be hearing more from him soon… Last, but not least, my OAD pick Webber didn’t quite have it the whole week. Solid T20 finish, and we have back to back good momentum in the pool. Good work on the bag Paulie! Let’s keep that mojo goin’. As always feel free to comment or reach out to us on social media, and I’ll see you next Monday!